The Earth and the oceans have warmed significantly over the past four decades, providing evidence that the Earth is undergoing long-term climate change. Increasing temperatures and changing rainfall patterns have been documented. Cyanobacteria have a long evolutionary history, with their first occurrence dating back at least 2.7 billion years ago. Cyanobacteria often dominated the oceans after past mass extinction events. They evolved under anoxic conditions and are well adapted to environmental stress including exposure to UV, high solar radiation and temperatures, scarce and abundant nutrients. 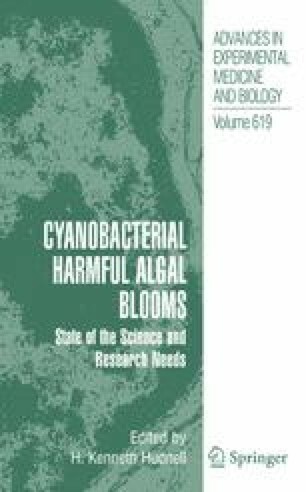 These environmental conditions favor the dominance of cyanobacteria in many aquatic habitats, from freshwater to marine ecosystems. A few studies have examined the ecological consequences of global warming on cyanobacteria and other phytoplankton over the past decades in freshwater, estuarine, and marine environments, with varying results. The responses of cyanobacteria to changing environmental patterns associated with global climate change are important subjects for future research. Results of this research will have ecological and biogeochemical significance as well as management implications.